On behalf of Admin of JML Law, A Professional Law Corporation posted in Pedestrian Accident on Saturday, Apr 06 2019. Three years into the Vision Zero initiative, a program launched by the City of Los Angeles to reduce and eventually eliminate all traffic deaths by 2025, the city recorded its second-highest number of pedestrian fatalities in 2018, according to officials. A total of 127 pedestrians lost their lives on L.A.’s streets and roadways last year, which was a slight dip from the recorded 135 deaths in 2017. Pedestrians have the same right to safety that motorists do, but sometimes that safety is trampled upon by careless drivers and others. If you or someone you love has been involved in a pedestrian accident, you have a right to hold the at-fault party responsible for any injuries you sustained. Our Los Angeles pedestrian accident attorney can help. Across the board, the department of transportation notes that 240 people were killed in vehicle crashes in 2018, which is slightly less than the 235 killed in 2017 but 57 more than died in 2015 in L.A. traffic. The year 2015 marked the beginning of the Vision Zero initiative. At the time of Vision Zero’s launch, Mayor Eric Garcetti proposed that the city should aim for a 20 percent reduction in deaths by the year 2017. The program aimed to place a special focus on pedestrian fatalities that involve children and the elderly. L.A. traffic deaths have fallen only 5 percent since the inception of Vision Zero. Since the first full year of Vision Zero, traffic deaths have fallen overall—including deaths of motorists, pedestrians and bicyclists. Program advocates say that the city has also implemented more than 1,000 improvements to road safety, including speed feedback signs and high-visibility crosswalks located in the deadliest traffic corridors in L.A. In addition, a mile-long section of Mar Vista’s Venice Boulevard underwent lane reconfiguration, reducing the number of lanes designated for cars and adding protected lanes for bicyclists. Data from the Federal Highway Administration suggests that this type of so-called “road diet” can reduce vehicle crashes by as much as 47 percent. Since the launch of Vision Zero, pedestrian death rates have risen dramatically. In cities where Vision Zero and similar initiatives have launched, lower numbers of fatalities generally follow. San Francisco and New York, for example, report that the number of deadly collisions in 2018 was almost the lowest frequency seen in the past 100 years. Being involved in a pedestrian accident can be a stressful and frustrating event. Pedestrians struck by vehicles often find themselves with lifelong injuries and permanent impairments. 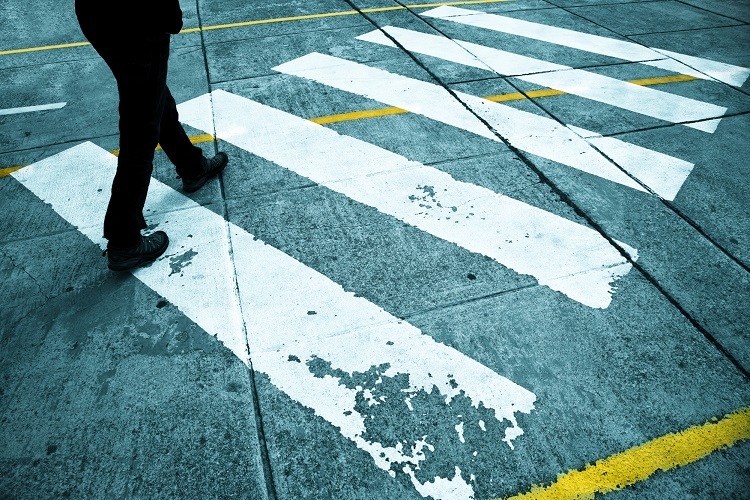 If you have been involved in a pedestrian accident, JML Law is here to help. Our Los Angeles pedestrian accident attorney can help you determine the merits of your case and take on the big insurance companies looking to get rid of your claim for the least amount possible. Call us now at 818-610-8800 to schedule your no-cost case review with our compassionate team.